The local area offers plenty of opportunities for physical activities. The region is ideal for hiking or mountain bike trips (the villa has four mountain bikes and a racing bike). 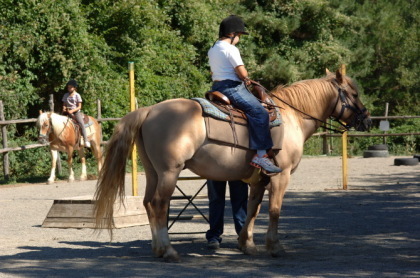 Exploring the region on horseback is also possible, for instance in the local nature reserve of Monte Rufeno. Do you prefer aquatic sports or the beach? Apart from the villa's own swimming pool, the lake of Bolsena, half an hour's drive away, is a must. Port'Ercolo or Orbetello on the coast are a two hour drive. 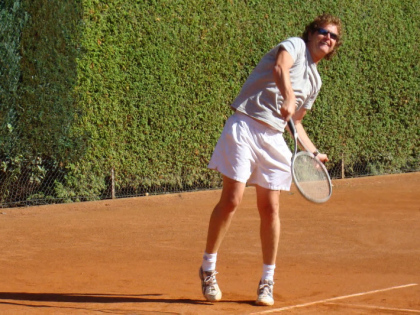 San Casciano dei Bagni (5 miles ) en Proceno (6 miles) offer tennis facilities. Golf courses are a bit further off, at 40 to 50 miles, in Sutri, just south of Viterbo, around Perugia and near Punta Ala on the coast. In winter, black, red and blue ski runs are open on the Monte Amiate, half an hour's drive from Podere Tina. In the area surrounding the villa, hunters hunt wild boar and small game. You can treat yourself to a dip in recently renovated thermal baths in San Casciano dei Bagni, dating from the time of the Medicis, in the Centro Termale Fonteverde, a health resort of pure class. The facilities are absolutely first-rate. The indoor and outdoor sulphur baths are open all year round, and guests can choose from different programmes, focusing on cosmetics, massage or other treatments.